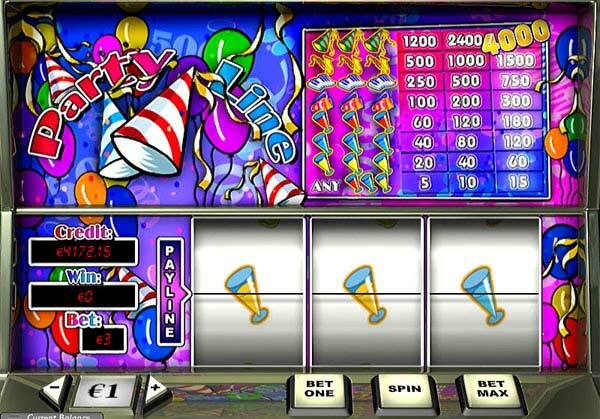 The object of Party Line is to obtain a winning symbol combination by spinning the reels. · Click Bet One or Bet Max to select the number of coins you wish to wager. Each click on the Bet One button increases your bet by one coin.